Plaque on exterior wall of The Sydney County Council building with its Latin motto, translated as "Let the future excel the past". The Sydney County Council (SCC) was formed in 1935 to produce electricity and operate the electricity network for part of metropolitan Sydney. The county council was established by the state government to represent several local government areas. It assumed control of the Electricity Department of the Sydney City Council. In 1952, the SCC lost most its electricity generation functions to the Electricity Commission of New South Wales and retained only its distribution functions. The SCC was merged with other municipal county councils in 1989 to form Sydney Electricity. In 1904, the Electricity Department of the Municipal Council of Sydney, one of the two main authorities responsible for electricity generation at the time, began to generate electricity for streetlights in the Sydney CBD. Pyrmont Power Station began operations in 1904, as the Sydney Electric Lighting Station, and was expanded over time. Construction of the Bunnerong Power Station began in 1926, and when Bunnerong 'A' Station was completed in 1937 it had a capacity of 175 MW, making it the largest power station in the State, and further expansion brought its capacity to 375 MW, making Bunnerong the largest power station in the southern hemisphere. In 1935, the Sydney County Council was formed to which was transferred the Electricity Department of the Sydney City Council as well as its power stations, which by then supplied electricity to the City of Sydney beyond street lighting. After the Electricity Commission of New South Wales was created in 1950 to manage electricity generation across the state, the SCC's Bunnerong and Pyrmont Power Stations were transferred to the Electricity Commission in 1952; and the SCC became an electricity distributor only. In 1989, the state government formed Sydney Electricity, a government controlled corporation, to take over electricity distribution functions from municipal councils, including the SCC. In 1996, Sydney Electricity was merged with Orion Energy to form EnergyAustralia, a government-controlled enterprise. On 2 March 2011, EnergyAustralia changed its name to Ausgrid. The retail business of EnergyAustralia and its name had been sold to Hong-Kong listed TRUenergy in 2010, which in 2012 changed its name to EnergyAustralia. 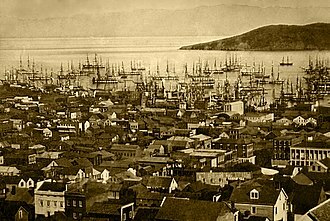 ^ "Power for the People: A history of electricity in Sydney". Jobson, S. Retrieved 27 September 2007. ^ "COUNTY COUNCIL". The Sydney Morning Herald (30,475). New South Wales, Australia. 5 September 1935. p. 11. Retrieved 4 March 2017 – via National Library of Australia. ^ "COUNTY COUNCIL CHAIRMAN". The Canberra Times. 13, (3,534). Australian Capital Territory, Australia. 18 January 1939. p. 2. Retrieved 4 March 2017 – via National Library of Australia. ^ "COUNTY COUNCIL CHAIRMAN". The Sydney Morning Herald (31,846). New South Wales, Australia. 24 January 1940. p. 17. Retrieved 4 March 2017 – via National Library of Australia. ^ "COUNTY COUNCIL CHAIRMAN". The Sydney Morning Herald (32,158). New South Wales, Australia. 22 January 1941. p. 12. Retrieved 4 March 2017 – via National Library of Australia. ^ "COUNTY COUNCIL CHAIRMAN". The Sydney Morning Herald (33,100). New South Wales, Australia. 26 January 1944. p. 11. Retrieved 4 March 2017 – via National Library of Australia. ^ "COUNTY COUNCIL CHAIRMAN". The Sydney Morning Herald (33,717). New South Wales, Australia. 16 January 1946. p. 4. Retrieved 4 March 2017 – via National Library of Australia. ^ "COUNTY COUNCIL CHAIRMAN". The Sydney Morning Herald (34,029). New South Wales, Australia. 15 January 1947. p. 4. Retrieved 4 March 2017 – via National Library of Australia. ^ "LABOUR BID TO UNSEAT S.C.C. CHAIRMAN". The Sydney Morning Herald (35,282). New South Wales, Australia. 19 January 1951. p. 5. Retrieved 4 March 2017 – via National Library of Australia. Guthega Power Station is located in the Snowy Mountains region of New South Wales, Australia. The power stations purpose is for the generation of electricity, Guthega power station is located at the confluence of the Munyang River and the Snowy River, approximately 5.5 kilometres downstream of the Guthega Dam wall. 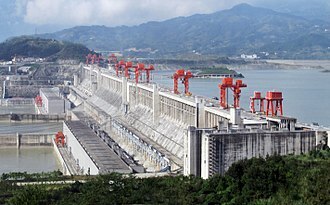 It is a hydroelectric power station, situated above ground. The waters held in the reservoir behind Guthega dam pass through a concrete lined tunnel, the powerhouse is a concrete structure with a machine hall that is 51.46 metres long,17.83 metres wide, and 32.61 metres high. Approximately 6,880 cubic metres of concrete was used in its construction which commenced in November 1951 and was completed in April 1955, the power station has two Francis turbines each driving an English Electric generator. The power station includes foundations for a unit but this was never installed as there was insufficient water to make it worthwhile. The power station has a hydraulic head of 246.9 metres. 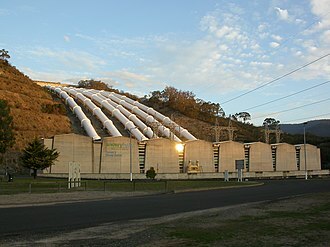 The Murray Region Hydroelectric Power Stations refers to two of seven hydroelectric power stations, both located near the town of Khancoban in the Snowy Mountains region of New South Wales, Australia. The two power stations are part of the Snowy Mountains Scheme, a vast hydroelectricity and irrigation complex constructed in south-east Australia between 1949 and 1974 and now run by Snowy Hydro. Although both power stations are located in New South Wales, since 1 July 2008 all power generated has been allocated to the Victorian region of the National Electricity Market. The stations are not located on the Murray River, Murray 1 Power Station is located 10 kilometres north of Khancoban along the Alpine Way. The power station was completed in 1967, and has 460.2 metres rated head, the station is capable of producing enough electricity to supply over 95,000 homes. Murray 1 will undergo a series of outages, from 2013 to 2022 inclusive, in order to complete maintenance on each turbine, a Snowy Hydro Visitor Centre is on site at Murray One. The dams purpose includes environmental flows, hydro-electric power generation and water supply. The impounded reservoir is called Lake Copeton, the dam was built by the New South Wales Water Conservation & Irrigation Commission and the Department of Water Resources to supply water for irrigation. The dam wall comprises 8,547 cubic metres of fill and is 113 metres high and is 1,484 metres long. The maximum water depth is 104 metres and at 100% capacity the dam holds back 1,364,000 megalitres of water at 572 metres AHD. The surface area of Lake Copeton is 4,620 hectares, the gate-controlled concrete chute spillway is capable of discharging 1,280,000 megalitres of water per day. Together with a series of weirs and regulatory works downstream from the dam. This amount is less than the 50,000 hectares originally planned because of higher rates of absorption and evaporation along some of the irrigation channels. Despite these overestimates irrigated agriculture in the Gwydir Valley saw the area become Australias major cotton producing region, in 2007, it was decided the dam would need an upgrade for safety reasons. Patrick Darcy Pat Hills AO was a New South Wales politician. He served in high offices across the state most notably the Deputy Premier of New South Wales, Leader of the Opposition. Hills was born in the Sydney suburb of Surry Hills and he was educated at Marist Brothers High School and was apprenticed as an electrical engineer. He was an alderman on Sydney City Council from 1948 to 1956 and Lord Mayor of Sydney from 1953 to 1956, when only in his thirties. Hills was elected to the New South Wales Legislative Assembly as the member for Phillip in 1954, representing the Australian Labor Party, until 1988, he served as member for Elizabeth. He was Minister for Local Government in the cabinet of Premier Robert Heffron, in opposition he served as Deputy Leader for three years and Leader for five years. One of his achievements was the building of the Eraring. He was responsible for the Hilton Hotel, which he rubber stamped, more importantly, he has been accused of sabotaging the 1948 Cumberland County Plan for Sydney, flogging the green belt out the back door before the ink was dry. Tumut Hydroelectric Power Station /ˈtjuːmət/ is a series of three hydroelectric power stations on the Tumut River in New South Wales, that are part of the Snowy Mountains Scheme. The generating assets of the three Tumut power stations are owned by Snowy Hydro Limited, a company whose shareholders include the governments of Australia, New South Wales, the company is licensed to manage the water rights used by the power stations. Located downstream of Tumut Pond Dam and 366 metres below ground level, the conventional hydroelectric power station has four turbine generators, with a generating capacity of 330 megawatts of electricity, and a net generation of 847 gigawatt-hours per annum. The power station was completed in 1959, and has 292.6 metres rated head, the first 330 kV transmission lines were commissioned in New South Wales at the Tumut 1 Power Station during the 1950s. These cables were manufactured in England and linked to the underground transformers at Tumut 1, the lines carried power to Sydney where new sub-stations were established, to handle the upgrade from 132 kV transmission lines. This innovative plan, which faced significant scepticism initially, was considered to be at the forefront of technology which challenged designers, extra high voltage was in its infancy in the early 1950s. The lines were subject to a 1000 kV test on the prior to them going into service. These cables and the system have been in service for over 50 years. The original transformer at Tumut 1 weighed 81.2 tonnes, upper Tumut Power Station is sometimes used as a collective term to refer to both Tumut 1 and Tumut 2 Power Stations. Tumut 2 Power Station is located near Cabramurra, some 244 metres below ground level, the conventional hydroelectric power station has four Francis turbine generators, with a combined generating capacity of 286.4 megawatts and a net generation of 787 gigawatt-hours per annum. The power station was completed in 1962, and has 262.1 metres rated head, water flows through the turbines at the rate of 118.9 cubic metres per second. The conventional gravity-fed hydroelectric power station is fed by water held in Tumut Two Pondage, the station is connected to the National Electricity Market via the Cabramurra substation. John Ignatius Armstrong AC was an Australian politician and federal minister. 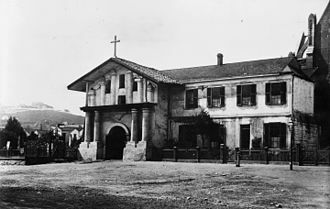 Armstrong was born into a large Roman Catholic family in the Sydney suburb of Ultimo to William and Ellen Armstrong and he was educated at St Bedes School, and at the Marist Brothers High School, Darlinghurst. In 1934, he was elected as an alderman of Sydney Municipal Council and he married Joan Therese Josephine Curran in October 1945. As a result, Armstrong gave a speech in the Senate on 13 June which included the first public reference to Curtins health and he was appointed Minister for Munitions in Ben Chifleys November 1946 ministry. Following Labors defeat at the 1949 election, he became deputy-leader of the Opposition in the Senate and he was relegated to an unwinnable fourth position on Labors ticket for the 1961 election and left parliament in July 1962. Armstrong was elected Lord Mayor of Sydney in 1966, but the position was abolished by the Askin government in 1967, the Whitlam government appointed him Australian High Commissioner to the United Kingdom from 1973 to 1974. Cogeneration or combined heat and power is the use of a heat engine or power station to generate electricity and useful heat at the same time. Trigeneration or combined cooling and power refers to the generation of electricity. Cogeneration is a more efficient use of fuel. All thermal power plants emit heat during electricity generation, which is discarded as waste heat into the environment through cooling towers, flue gas. This is called combined heat and power district heating, small CHP plants are an example of decentralized energy. By-product heat at moderate temperatures can be used in absorption refrigerators for cooling, at smaller scales a gas engine or diesel engine may be used. Trigeneration differs from cogeneration in that the heat is used for both heating and cooling, typically in an absorption refrigerator. CCHP systems can attain higher overall efficiencies than cogeneration or traditional power plants, in the United States, the application of trigeneration in buildings is called building cooling and power. Heating and cooling output may operate concurrently or alternately depending on need, Cogeneration was practiced in some of the earliest installations of electrical generation. 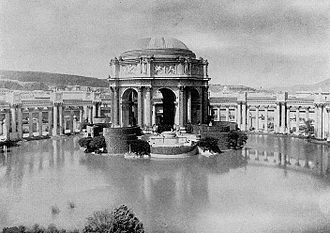 Before central stations distributed power, industries generating their own power used exhaust steam for process heating, large office and apartment buildings and stores commonly generated their own power and used waste steam for building heat. Due to the high cost of early purchased power, these CHP operations continued for years after utility electricity became available. Thermal power plants, and heat engines in general, do not convert all of their energy into electricity. In most heat engines, more than half is lost as excess heat, by capturing the excess heat, CHP uses heat that would be wasted in a conventional power plant, potentially reaching an efficiency of up to 80%. This means that less fuel needs to be consumed to produce the amount of useful energy. A typical power generation turbine in a mill may have extraction pressures of 160 psig and 60 psig. A typical back pressure may be 60 psig, in practice these pressures are custom designed for each facility. 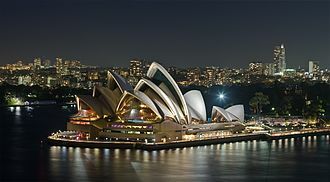 The City of Sydney is the local government area covering the Sydney central business district and surrounding inner city suburbs of the greater metropolitan area of Sydney, New South Wales, Australia. On 6 February 2004, the local government area of the City of South Sydney was formally merged into the City of Sydney. The leader of the City of Sydney holds the title of the Lord Mayor of Sydney, the current Lord Mayor is Councillor Clover Moore who has been in office since 27 March 2004. Aboriginal and Torres Strait Islander people made up 1. 3% of the population, the median age of people in the City of Sydney was 32 years. Children aged 0 –14 years made up 7. 1% of the population and people aged 65 years, of people in the area aged 15 years and over,25. 5% were married and 10. 1% were either divorced or separated. Population growth in the City of Sydney between the 2001 Census and the 2006 Census was 3. 31%, and in the subsequent five years to the 2011 Census, population growth was 4. 57%. The median weekly income for residents within the City of Sydney was more than 1.5 times the national average. The proportion of dwellings in the City of Sydney that are apartments or units is 73. 6%, the proportion of residents in the Sydney local government area that claimed Australian ancestry was approximately half the national average. ^a 1996 Census figures refer to the City of Sydney prior to its merger with the City of South Sydney, in 1972 the Council had prepared the City of Sydney Strategic Plan, only the second city to prepare a comprehensive assessment and plan of major issues for the future. With triennial reviews, this development of the City for twenty years. A1987 Liberal re-organisation saw Sydney Council split, with southern suburbs forming a new South Sydney Council and this was thought to advantage the Liberal government of the day, as the southern suburbs had traditionally voted Labor. In 2004, the Labor State Government undid this change, again merging the councils of the City of Sydney, critics claimed that this was performed with the intention of creating a super-council which would be under the control of Labor, which controlled the State Government. Enfield Council Chambers, council seat from 1930 to 1948. James Eve, the first mayor of Enfield, as sketched in the Australian Town and Country Journal, 18 May 1889. Redfern Town Hall, c. 1871, Mayor George Renwick is pictured at right on the balcony. John Beveridge (1848–1916), Alderman for Belmore Ward (1886–1891) and Mayor (1891). Patrick Mooney (1880–1942), Mayor (1925) and Senator for New South Wales (1931–1932). R. W. Grierson, Town Clerk of Redfern for 50 years (1885–1934). The dam's easy accessibility makes it a popular place to visit. City of Canterbury Administration Building, Beamish Street, Campsie, opened in 1963. Canterbury Town Hall, opened in 1889, demolished in 1963. Boys fishing with Bunnerong 'A' Power Station in the background. Copeton Dam spillway, from the northern side looking west. An aerial photo of Tumut Pondage and dam, 2009. The EnergyAustralia headquarters in George St., Sydney.